You may find out the new prices of Christmas range of Aldi Catalogue Special Buys Week 46 this week on discountstores.com. It is a great chance to have this accessory and decoration range including lightings, trees and confectioneries. Theme of Christmas and colours of this event have been successfully applied to this new online catalogue of Aldi. Aldi tried to bring you the best of them and lowered the prices as much as they could. 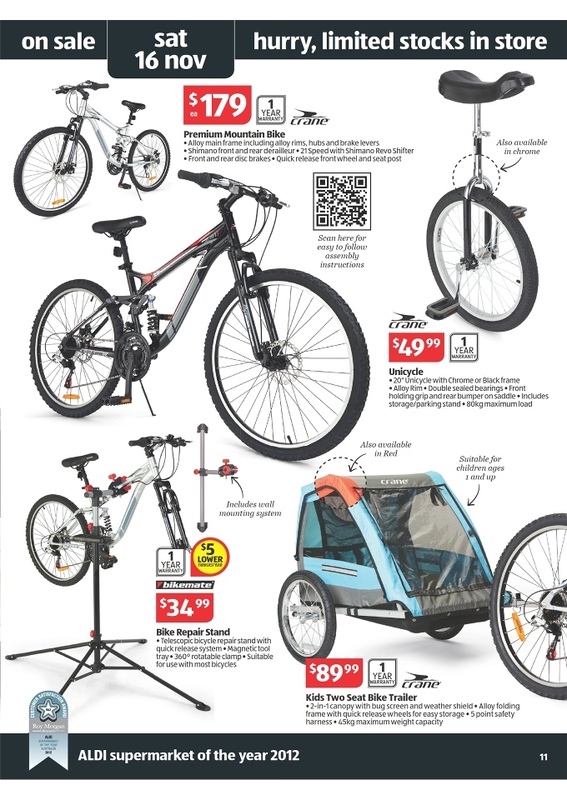 Fisrtly visit the cover and find a summary of the entire sale of Aldi Australia including entertainments, food range and bikes. If you are particulary keen on Christmas accessory range I can recommend you to start on pg; 2 and go on until you get pg; 9. Those pages are full of Christmas accessories and similar stuff priced at very suitable values. Stationery products at Aldi are not regularly exhibited on these catalogues. I mean not every week’s online catalogue of Aldi can provide you such range including stationeries. This week’s self-make accessories and equipments like scissors which is the elementary part of this job are exhibited with their Christmas themes. Also you can find Free Christmas Guide exhibited on pg; 7 and in store until 13 th Nov 2013. Art products, wood easel, art case and similar stuff on pg; 8&9. Bikes and sport accessories of Crane on pg; 11. Electronics like notebooks, tablets and smart phones on pg; 14 – 16. Summer entertainments and pool accessories on pg; 17-18. Aldi Liquor range and food products on the 18 – 24. Copyright © 2013 Discount Stores Australia ! . All Rights Reserved.